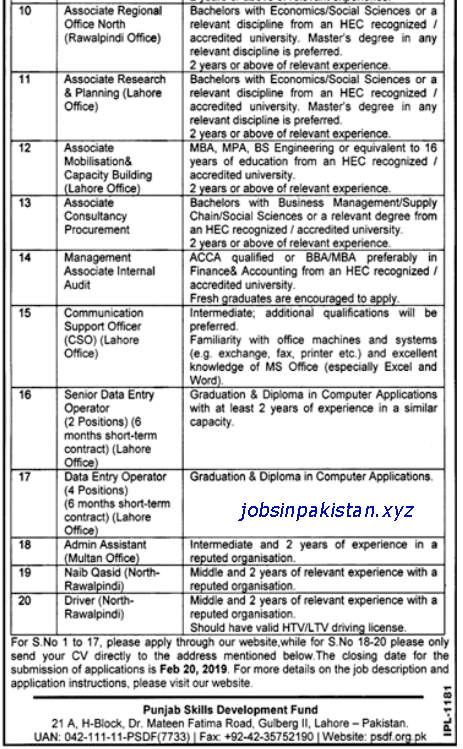 Jobs Description: Punjab Skills Development Fund Jobs February 2019 are listed below in our site. PSDF (Punjab Skills Development Fund) is the largest skills development fund in Pakistan. Punjab Skills Development Fund was established in 2019 as a not-for-profit company set up under the Companies Ordinance 1984 by the Government of Punjab Pakistan in collaboration with UK's Department for International Development (DFID). PSDF also exclusively manages the skills training funding of the World Bank. 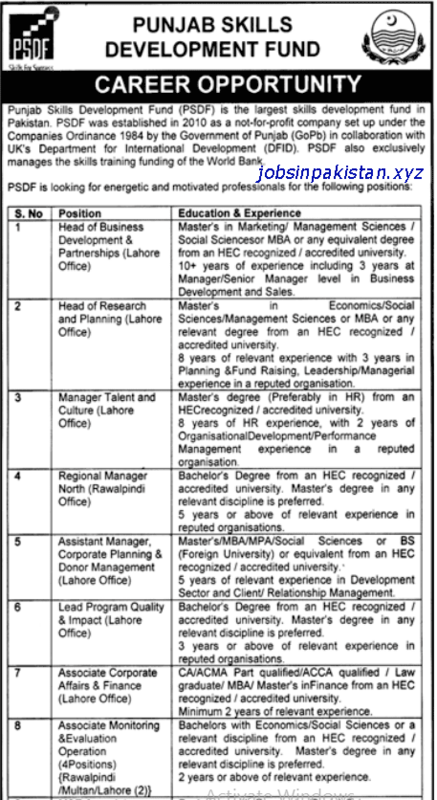 Punjab Skills Development Fund has required the applications for the following jobs. How To Apply: The interested candidates may visit the Punjab Skills Development Fund official website for applying.